During the seventies, former bishop of Derry Edward Daly experienced Bloody Sunday close up, where the British shot dead 14 unarmed protesters on Bloody Sunday protesting internment, he gave them their last rites. He visited both loyalist and republican prisoners in the infamous Long Kesh Concentration Camp – later renamed by the disgraced British as the Maze. In 1976, paramilitary prisoners had their ‘political’ status removed and were treated as criminals which sparked the blanket protests and political prisoners refused to wear jail uniforms, which later escalated into hunger strikes. Below is an an extract from Bishop Daly's book, describing the foul conditions at Long Kesh Concentration Camp, where current political internee Martin Corey, has spent most of his adult life. He is 63 now, having spent 22 years as a political prisoner of conscience in British hellholes, 19 years in Long Kesh, seperate from the most recent, being 3 years in Maghaberry without trial. He is still interned more than 40 years later, in British Occupied Ireland despite a Peace Process without due process. IN MARCH 1978, the prisoners ‘on the blanket’ escalated their protest by refusing to clean out their cells, wash or go to the toilet. They smeared the walls and ceilings of their cells with their own excrement and the floors streamed with urine. The lasting memory of visits to Long Kesh during that protest was the horrendous stench. The cells were industrially cleaned by the prison authorities with power hoses from time to time and prisoners were moved to other cells. I have no idea how people lived or worked in those conditions. During my visits there to the wings, I was violently ill on several occasions. The revolting and foul smell seemed to permeate everything I wore, even days after the visit. Items of outer clothing, even after dry cleaning, were virtually unusable subsequently. In 1980, after four years of unsuccessful protests appealing for special status, a status that would recognise them as political prisoners, prisoners of war rather than criminals, rumours began to circulate that a hunger strike was imminent. Individually and jointly, Cardinal Tomás Ó Fiaich and I made several lengthy visits to the H-Blocks in Long Kesh Prison in the spring and summer months of 1980, meeting virtually all the protesting prisoners individually in their cells. These visits usually lasted from early morning until late in the evening. We also met with the prison authorities and visited some Loyalist prisoners, including some of their better-known leaders. Those lengthy visits to Long Kesh are etched forever in my memory. Spending seven or eight hours at a time going around cells visiting young men in those conditions was unforgettable. It was a parallel universe. There were usually two men in each cell. Their hair was matted and they had long unkempt beards. They were thin and haggard and their eyes were sunken. They wore long blankets. There was no furniture in the cells. The stench was intense and allpervasive. I simply do not know how people retained their sanity after spending such a long time in that environment. Yet I always found the prisoners in high spirits and imbued with a steely determination. 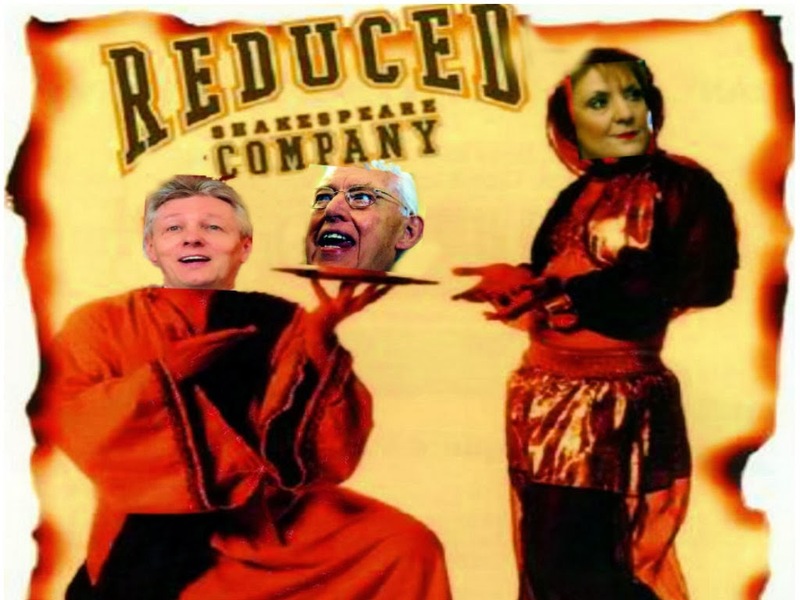 Only a few of them talked about a hunger strike. have seen the inside of a prison. Most of them came from stable family backgrounds. We also believed that these protests were undertaken on the prisoners’ own initiative, rather than on bidding or orders from any group outside the prison. Equally, we believed that the protest in the prison was perceived by the prisoners as their continuing contribution to the struggle going on outside the prison. The issue was further complicated by the fact that a sustained paramilitary campaign was going on contemporaneously throughout the North. In the course of that campaign, many prison officers were murdered. Those who perpetrated these murders claimed that they were acting in support of the prisoners on protest. There was intense anger and hatred between the prisoners and prison staff. There were many allegations of assault. Intimate body searches were frequently carried out, often in a brutal and demeaning manner. There are few dignified methods where intimate strip searches are concerned. The searcher and the searched are dehumanised. Long Kesh was a loathsome, hateful place as well as a powder keg as the 1970s moved to the 1980s. 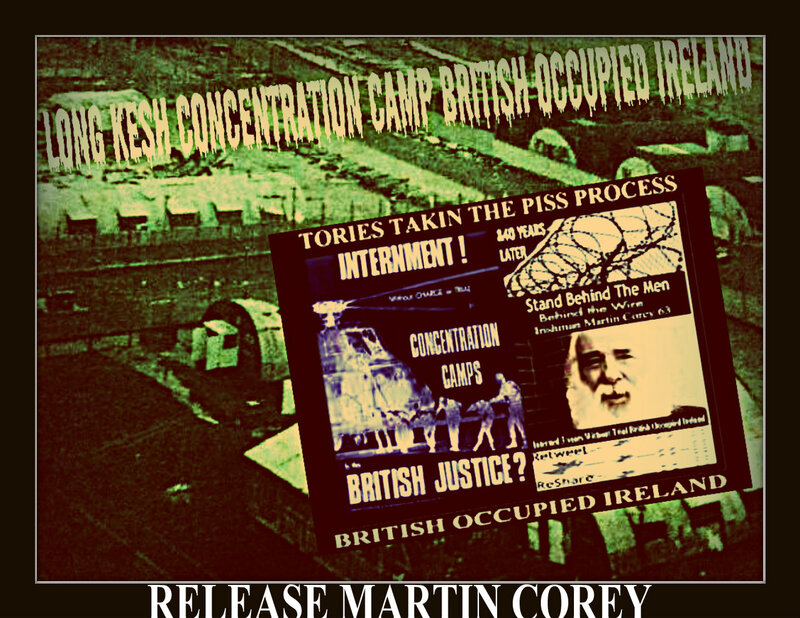 See Link for details and Retweet or Reshare if you Support the ReleaseMartinCorey Campaign.